The Hallmark Channel may be your first choice for romance movies that bring the tears but Netflix has them, too, with a Christmas touch. You may have a go-to holiday movie like Rudolph The Red Nosed Reindeer, Elf, It’s a Wonderful Life, A Christmas Story, or Die Hard (if you consider Die Hard a Christmas movie). They’re all great unless you want to get the tissues out and experience two people falling magically in love at Christmastime. 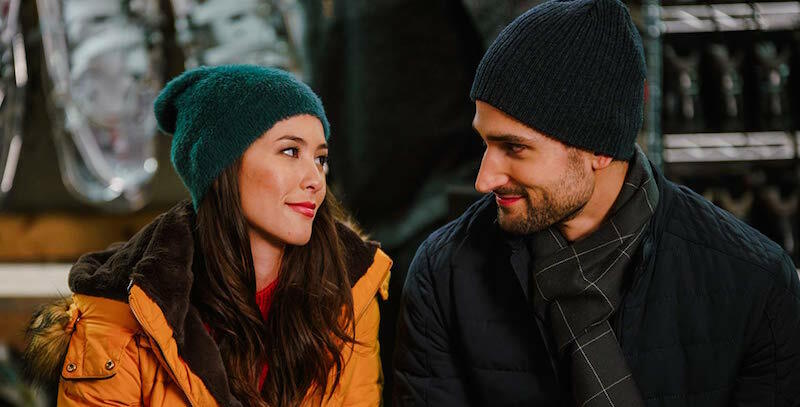 For years, the Hallmark Channel has been the prime source of holiday romance movies — Netflix wants to change that. The Netflix holiday movies catalog has something for everyone, including those in need of romance. 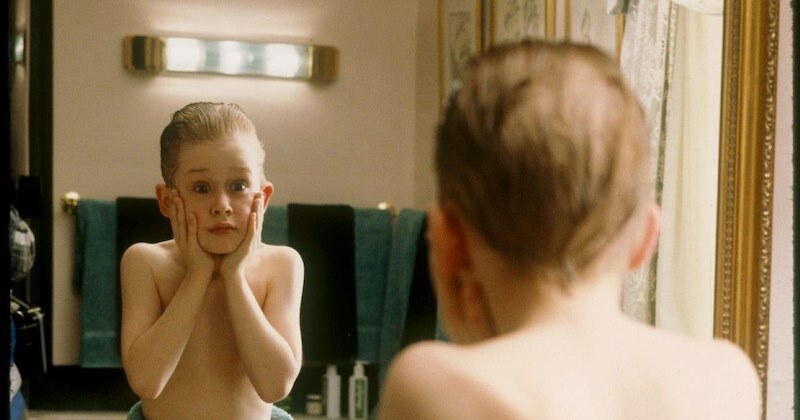 Some of the holiday movies on Netflix are original programming, others not. Either way, they give the Hallmark Channel a run for its money on lovey-doveyness. Here are 10 holiday romance movies on Netflix you can watch all season, and beyond if you want to keep the yuletide feeling past New Year, or just really like falling in love in the snow with a fireplace roaring. Not to be confused with Christmas With a Prince, Christmas With a View, based on a Harlequin novel, has got food and romance on the brain. Focusing on the burgeoning romance between a celebrity chef and a failed restauranteur, Christmas With a View could get your heart fluttering, make you really want a gingerbread house, or both! The advent calendar hanging in your home right now is going to seem very inadequate after you see The Holiday Calendar. That’s because photographer Abby Sutton (Kat Graham) in The Holiday Calendar has an antique advent calendar that appears to predict the future. It’s also pushing her towards love and romance with Josh Barton (Quincy Brown). Trader Joe’s advent calendars were great until this Netflix Original movie was released. If you really like Vanessa Hudgens, The Princess Switch is a must-see because she plays two characters: a baker and a soon-to-be princess. And there’s not just one “will they or won’t they get together” storyline in this Netflix Original holiday romance movie but two. It’s total tissue bait that can appeal to younger romance movie fans. In A Dogwalker’s Christmas Tale, Luce Lockhart (Lexi Giovagnoli) just happens to be spoiled and working as a dog walker for a wealthy developer. He has plans to build a salon and spa where the local dog park is currently located, but a handsome dog walker wants to stop him. Can you guess how this holiday romance movie ends? Here’s a hint: Luce has to pick a side, and one involves love, which lasts longer than the results of a spa day. You don’t really need to see A Christmas Prince before watching its sequel, A Christmas Prince: The Royal Wedding, but you certainly can. A Christmas Prince: The Royal Wedding involves a Prince who falls for an American journalist and the trials and tribulations that come with planning their wedding. Some hint that it’s loosely based on Prince Harry and Meghan Markle’s romance, but come on, princes have been falling in love with commoners for ages. If you’re about to marry a self-centered director, you should not be kissing a caterer. That is unless you’re Kayla (Karissa Lee Staples) and the caterer looks like Dustin (Brant Daugherty). The choice of whether to ditch the husband-to-be seems quite easy in Merry Kissmas but there’s always a twist in holiday romance movies. You just have to watch to see how it plays out. 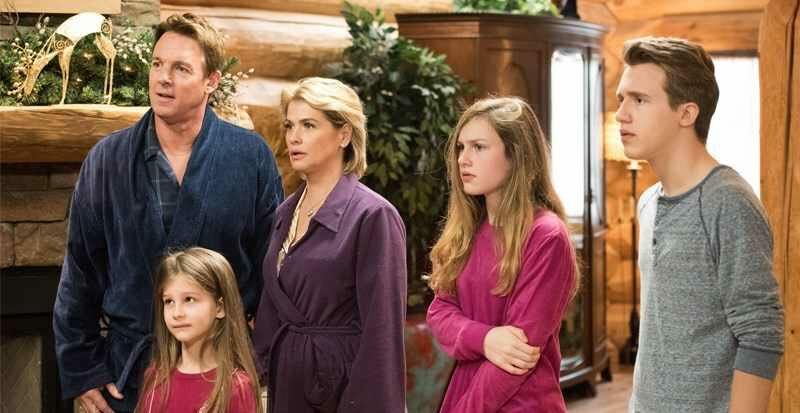 Whatever happened to Buffy the Vampire Slayer’s Kristy Swanson? I can’t say exactly, but she is in Angels in the Snow. Angels in the Snow is a family oriented holiday movie about a family that’s breaking up. They’re in need of a Christmas miracle and it may come in the form of a stranded family they need to help. Angels in the Snow isn’t a Netflix Original but it’s a great example of how Netflix is seeking the Hallmark Channel romance crowd. During the holidays, laughter is a perfect solution to the stress of events, gift buying, and everything else this time of year brings. 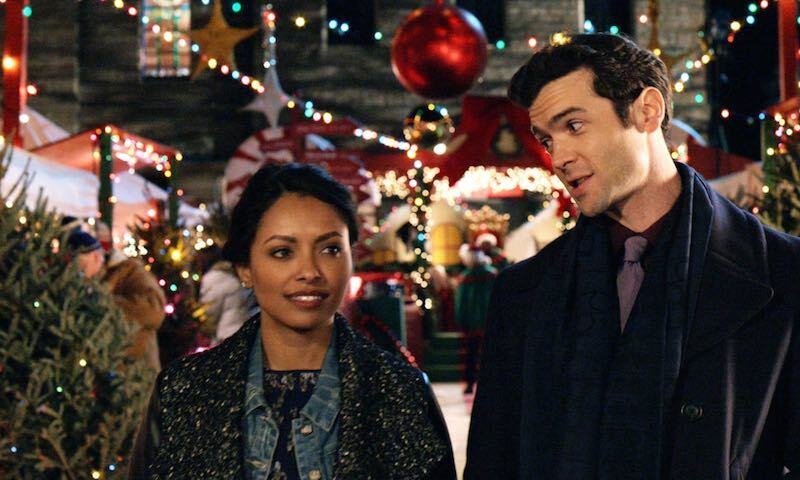 You Can’t Fight Christmas is a romantic comedy that could be your perfect holiday escape. And it can also help you get ideas for Christmas decorating since its lead, Christmas designer Leslie Major (Brely Evans) bleeds all things Christmas. The son of the owner of the hotel she works at, Edmund James (Andra Fuller), doesn’t have the Christmas spirit. In holiday romance fashion, that needs to change. If you’ve seen The Ghost and Mrs. Muir, you know that falling in love with a ghost is beyond romantic (and tragic). 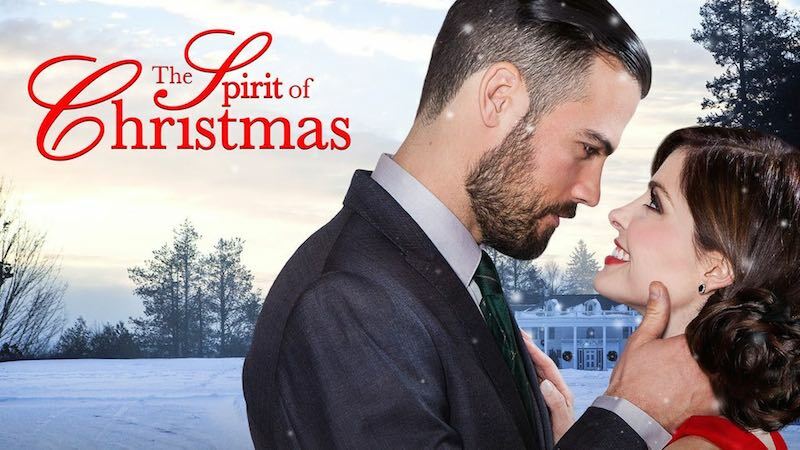 Enter The Spirit of Christmas, where workaholic lawyer Kate (“Days of Our Lives”‘ Jen Lilley) finds herself in a haunted bed and breakfast with a ghost who is dreamy. He’s also cursed, and breaking the curse may mean losing him forever. Why does love always have to be so complicated? Private investigators ruin everything. At least that’s the case in Christmas Wedding Planner when, you guessed it, a wedding planner, Kelsey (Jocelyn Hudon), who’s organizing her cousin’s oh-so-exclusive wedding gets tripped up by handsome PI Connor (Stephen Huszar). It’s his goal to disrupt the wedding, but he may do the same to Kelsey’s love life in the process.